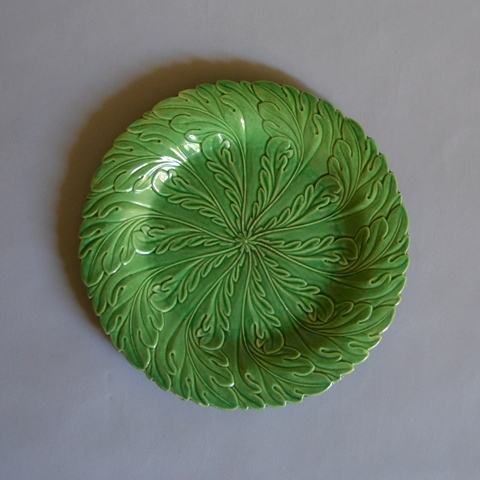 Four creamware plates with moulded leaf decoration and green glaze. See A Collector’s History of English Pottery by Griselda Lewis published by the Antique Collectors Club 1987. Page 110 Plate 14 for similar plate with Swansea mark.